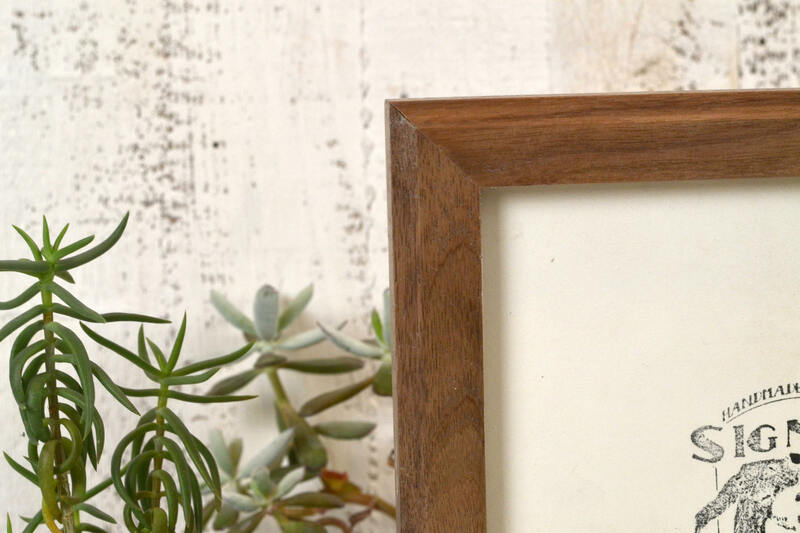 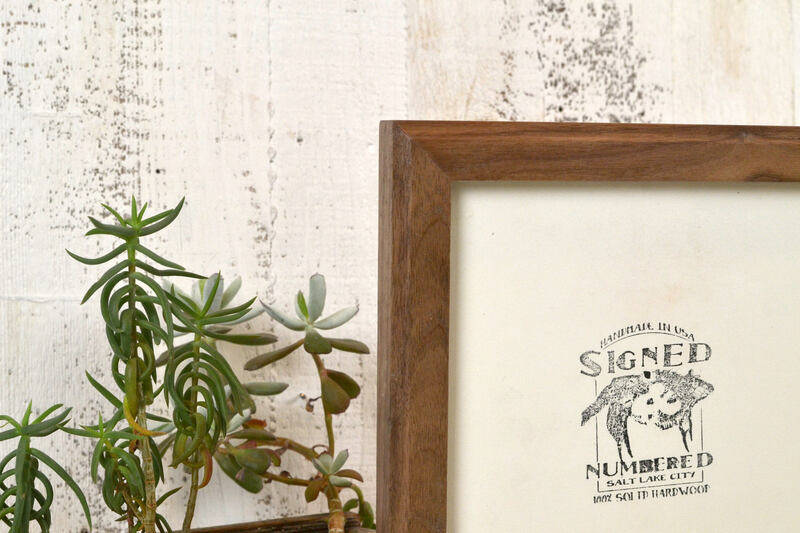 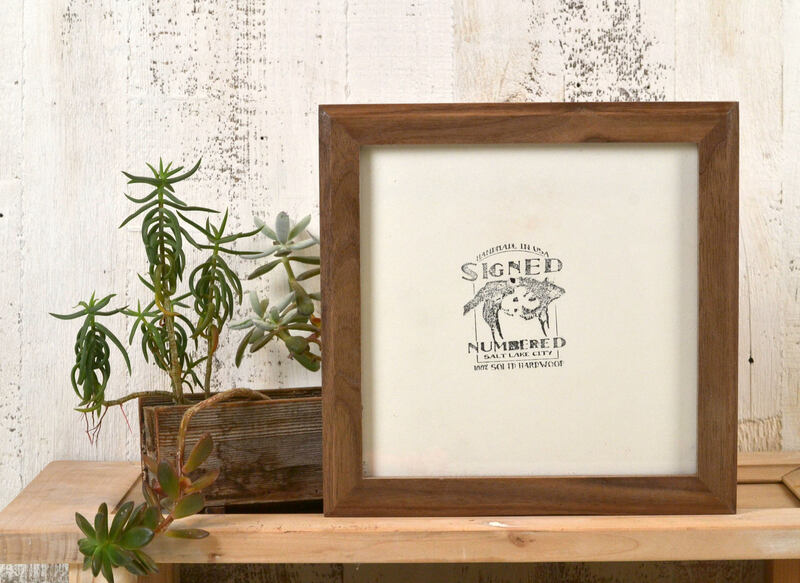 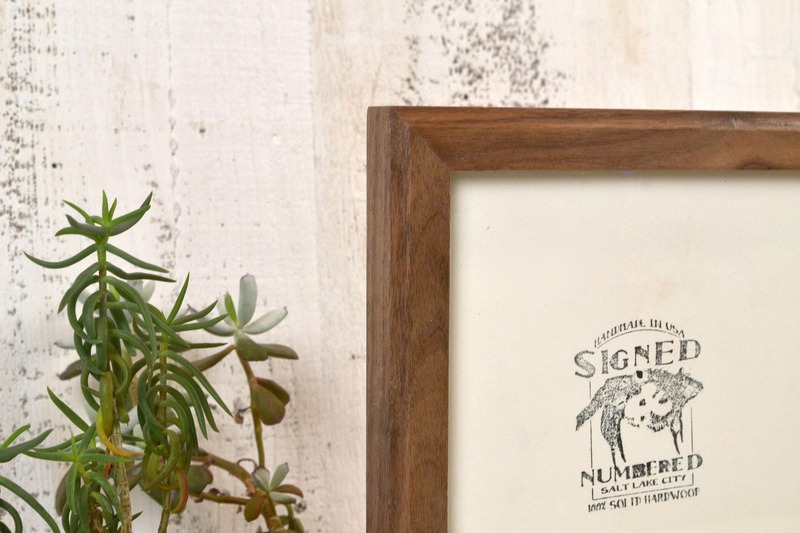 A handcrafted, readymade 8" X 8" picture frame constructed of solid natural WALNUT with a smooth, water-based polyurethane finish and cove edge detail. 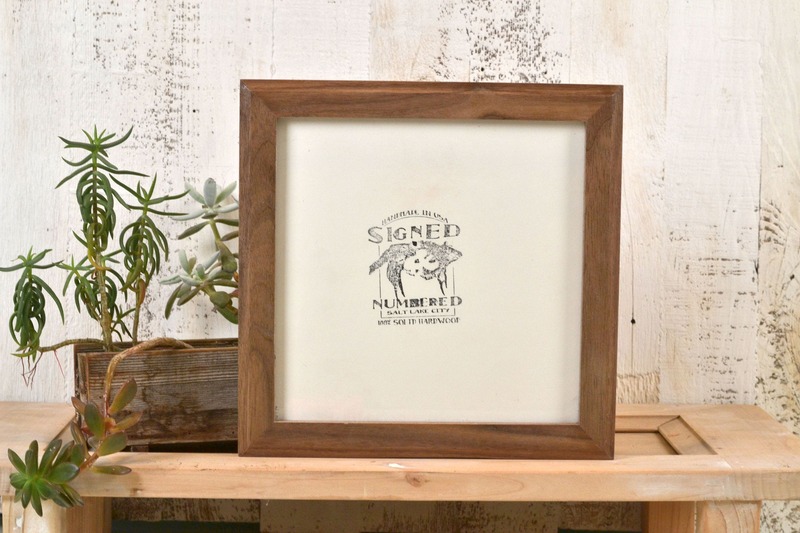 It is ready to hang and will fit any photo that is 8x8 (or smaller). 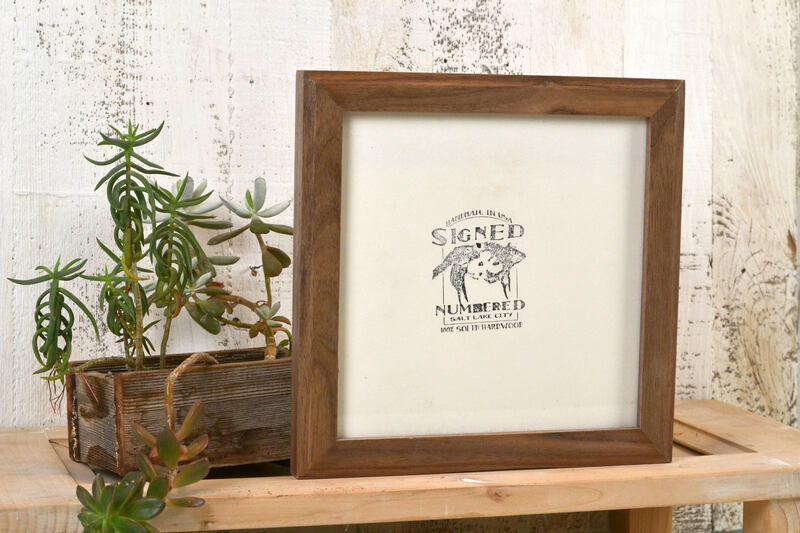 It works great for portraits, prints, postcards, art, etc.